Aspen certainly offers an abundance of fun things to do, winter, summer and in between, but sometimes one just has to “get out of Dodge” for an evening of fun, especially when you can’t really find anything like it Aspen (anymore). There are a lot of great fun/entertainment opportunities nearby in the greater Roaring Fork Valley as well. Many in town remember the Crystal Palace, the zany, often irreverent dinner theater that had Aspen audiences rolling in the aisles for some 51 years. We certainly had our share of great times there. 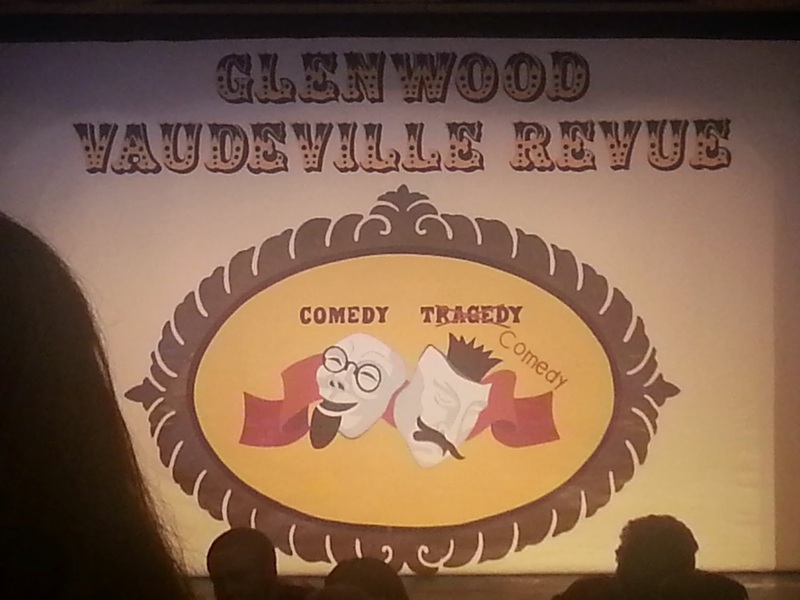 Sadly, it’s no longer in existence, but we discovered a great replacement in Glenwood Springs, the Glenwood Vaudeville Theater. The brainchild of community theater juggernaut, John Goss, the theater presents a fun-filled, two hour family fun oriented dinner theater extravaganza. The show features a variety of original comedy skits, novelty songs, jokes, lively dance numbers and other unique comedic entertainment – and delicious dinners prepared by many of the best restaurants in Glenwood Springs. Goss is re-united in this endeavor by several other of our favorite Crystal Palace alums, so the zany hilarity is still alive and well – it’s just moved a little down valley! In 2013, the theater moved its operations to its current location at the former Springs Theater on Grand Avenue in Glenwood Springs, just in time for the holiday season. The move not only gave them a fantastic location, but more space as well. 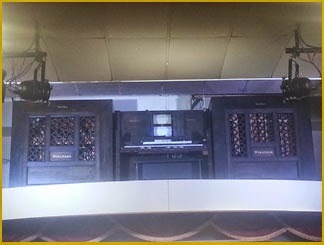 Besides an expanded, lively dining area, one of the highlights of the theater at its new location is a Wurlitzer photoplayer piano. If you’ve never seen one of these gizmos from days gone by, you will be amazed. Large and cumbersome looking, photoplayers were first used to provide music and sound effects for silent movies between 1910 and 1928. Photoplayers play music by reading perforated rolls of paper (called piano rolls) and often include a pipe organ setup to generate other sounds. This works by having a large air blower and air regulator generate the sound effects by the pulling of various chains (also known as “stops”) that direct the air flow through appropriate pipes in the device. Featured sounds include sirens, automobile horns, percussion and other musical instruments, such as flute, cello, violin and bass. When we last took in a Glenwood Vaudeville Theater show, Goss included a little photoplayer intermission routine to showcase their new “toy”. The theater organizes its shows into three seasons, Summer, Holiday and Spring and during the times in between, I makes use of its space by hosting special events shows – visit their site to find out more: http://www.gvrshow.com/special-events.html. Yes, there are plenty of activities and events in Aspen to enjoy, but if you looking for a change of pace (or scenery), don’t forget that there’s a lot going on down valley as well.